OK, is this truck "SAGGING" ? Just a general statement, nothing personal. I don't do the Friend request thingy. Thanks guys! We brought the RV home from having some warranty work done yesterday. I paid attention during the 230 mile ride home and I'm certain that I'm staying on the overloads. I am going to take a hard look at air bags and will probably add a set. I can see how that could really help with the bounce when we hit the bridge approach slabs and then the bridge ends. I may add the Bilsteins also. I wanted to wait and get a little more wear out of the stock shocks but if it makes a difference I'm all for it. On my 11 DRW pictured above I dumped the stock shocks at an early mileage and added the Bilstien's. I also added PacBrake bags and set them to 30psi LOADED. First pic is with no bags with 4,500# pin weight. Second pic is with bags at 30psi. The ride height did not change but the ride quality was AMAZING after!!! Do it you WILL thank me! "Just a general statement, nothing personal. I don't do the Friend request thingy." Where did that come from, and what is a friend request? Guess it did not apply to you. I had a Friend Request, figured without calling anyone out I just made a simple statement. If I replied NO it would not explain why. Guess I could have sent a PM but hey may as tell everyone I have enough FRIENDS! I don’t know what it’s for, but I suspect it is more for the Facebook crowd. So that one can sit in a restaurant with all your friends, stare at your phone the whole time, and try to get everyone to look at the “Uncle Phil does a backflip in his undies” picture. 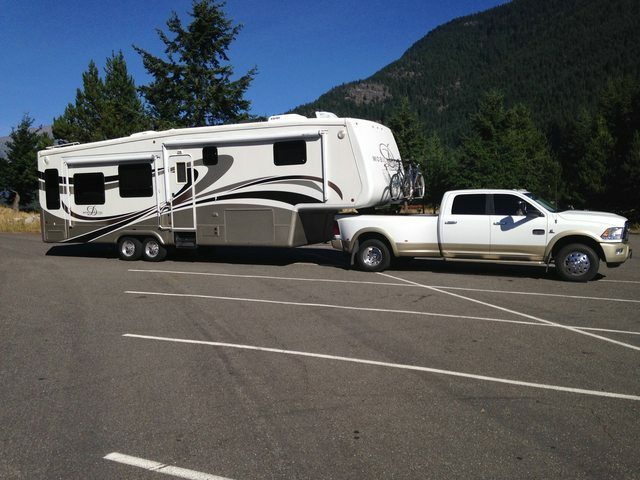 I'm one of the few that uses a Gooseneck. I've never had a fifth wheel prior to this one and know nothing about typical 5th wheel hitches. But I do know that they are heavy, cumbersome, and take up space in the bed of the truck. In a lot of other forums, and a few trucks that I've ridden in with a 5, there's a lot of complaining about clunking going on. 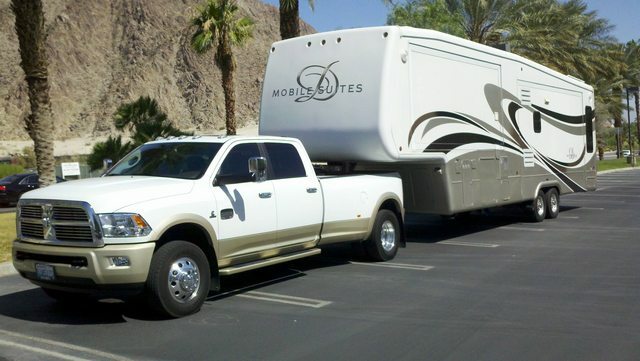 My Gooseneck is MorRyde and DRV approved, makes no noise, disappears when the trailer is unhooked, and I cannot imagine a better towing experience. Initially, I did notice some slippage in the joints that are secured with large bolts, but after I got it where I want it, I brought in a welder and he sealed/welded both joints all the way around. '17 36RSSB3///2012 F350 KR, LWB, SRW, bilsteins, 1 1/4" anti sway bar, bilstein steering stabilizer, airlift air bags, wireless compressor, 295/20 tires at 4080 pounds each, oversized finned aluminum diff and trannie pans, synthetic fluid, KEM/PIP tunes w/SCR4 programming, Edge CTS gauge monitoring, G37 2017 turbo, ATS Stage I transmission kit.